I had assigned a writing project to my US History students; when they were turned in I had 1 extra. That’s right. One extra. In addition to his graded assignment, a student actually created a SECOND project and turned it in. For funsies. That’s when I knew I had a killer assignment. I’ve used RAFTs in US History, World History, and US Government with all levels of students. They are a hit because they give the kids so much room for creativity, while still requiring kids to include content. After being introduced to the project, my students were always EXCITED to start working on it. Excited, people! 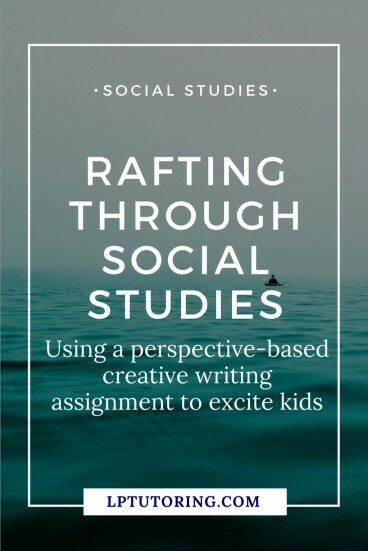 What is a RAFT writing assignment? Role of the Writer – Who are you as the writer? 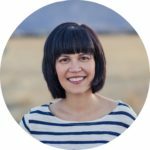 Audience – To whom are you writing? Format – What form will the writing take? 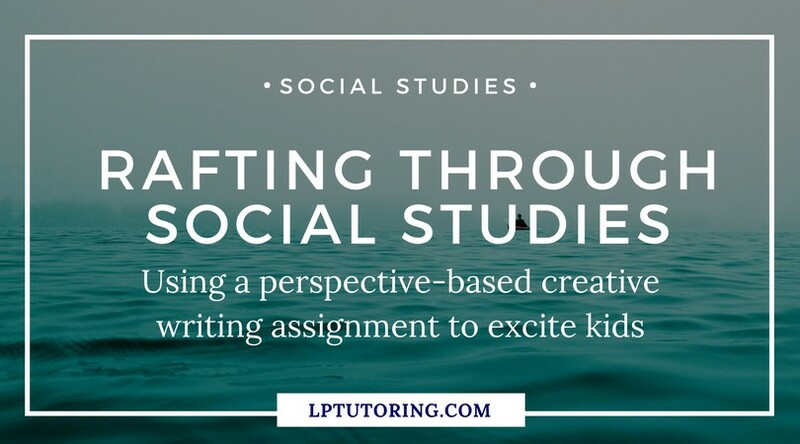 You pick the overall topic (Search and Seizure, Impacts of Exploration, social changes in the 1950s), but allow the students to decide who they will write as, the format, and the point of their piece. It gives the kids so much freedom and room to be creative. My students always turned in incredible work! 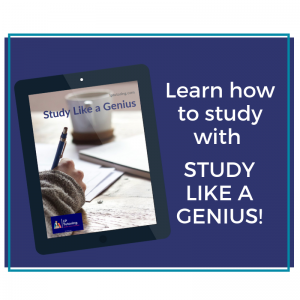 How do you create a RAFT writing assignment? I started by thinking about the unit I was teaching. What was a concept that I wanted students to understand AND had multiple perspectives? In Social Studies, that is about everything. For example, in a US History unit on Postwar America, I wanted students to think about social change in the 1950s. So, that was my overall topic. I usually kept the assignment on the shorter side, even with 11th graders: 1-2 pages max. If someone wanted to write poetry or a song (I had both turned in), 5 pages is a bit much. I usually required that students conduct some outside research and include a proper Work Cited page, something my students could do without my assistance. If you’re teaching middle school, I might drop this requirement. You can’t introduce this at the beginning of the unit – students need to know some information before starting. I usually introduced it about halfway through the unit and gave the kids 1-2 weeks to complete it. The day I introduced the assignment, I spent about 10 minutes in class brainstorming ideas. 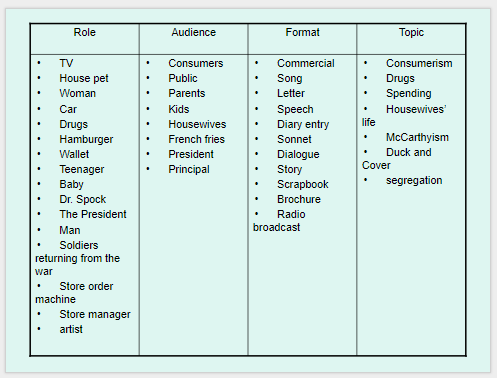 As a group, we came up with ideas for every category – I typed them in a PowerPoint and the kids wrote them down on their own project sheets. If there was time, I had kids highlight or underline possible options they might use. Many kids left the classroom already knowing what they were going to write. Rubrics are super personal, y’all. I came to appreciate more AP-style rubrics that were short and had small point values. However, use whatever type of rubric that you want. If you haven’t already, grab the FREE template I created for you. Just copy the Google Docs file and personalize for your own classroom!